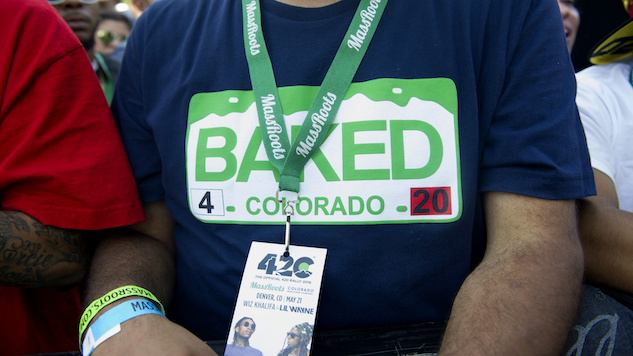 A tour through Colorado’s best marijuana-induced treats. After the Colorado State Legislator passed Amendment 64, clearing the way for the possession and sale of recreational marijuana, pioneering entrepreneurs have created every product imaginable from green fields of kush, haze and hydro. The recreational marijuana industry goes way beyond blazing up that stinky stuff, whether you’re looking for pain management, stress relief or an exotic edible to share with someone special. Edibles quickly became one of the best selling recreational marijuana products and one of the most popular inroads into the substance. These are some of the most palatable edibles being made and sold in Colorado today. Note: First time users should educate themselves about the effects of ingesting activated THC. This is a good guide for those who are new to the edible game. Don’t make the mistake of eating an entire Mile High Mint Bar. With a whopping 100mg of activated THC in each bar, it’s important to know about edible dosing and this burgeoning industry’s power to concoct mind-bending morsels. Unless you’re 2 Chainz, 50mg is probably excessive. Of course, it tastes so good, it’s tempting to consume more. Incredibles are sold all over Denver, but can be found on shop shelves in Leadville, Steamboat Springs, Parachute, Durango, Sedgwick, and other Colorado cities as well. Who doesn’t love sour gummies? Especially super sour gummies. These tasty little babies come in a convenient 100mg total dose bag—the perfect amount for the casual user, or first time consumer. There are a variety of gummy THC treats available, but Wana’s Sour Gummies have proven to be one of Colorado’s most popular edibles. Fear not stinky hippies, they’re also vegan and vegetarian! The first thing you’ll notice when you pop one of these colorful treats in your mouth is a tingling sensation on your tongue, followed by an upbeat relaxed effect. After two pieces, you might feel like you’re floating on a magic carpet on clouds of cotton candy. Don’t let the munchies fool you though, it’s not real. Although selling beer with THC is still illegal, breweries have started to make commercial beer with legal cannabidiol (CBD) extracts from cannabis oil. The beer won’t get you high, but is said to impart a nice buzz and dank floral flavor, not unlike fresh hops. Last year, Dude’s Brews in Aurora, Colorado introduced their Indica Double IPA, a hop-heavy high-alcohol brew for the serious connoisseur of both the green and the bubbly. That being said, Colorado is home to one of the country’s original craft brew scenes and brewers across the state were quick to add actual marijuana to their recipes when it became legalized. There are many marijuana infused beer recipes available online. When you visit Colorado, you may be so lucky as to receive an invitation to privately partake in this Rocky Mountain specialty. If you want an easy way to incorporate THC infused edibles into everyday recipes, without having to cook the weed yourself, or if you’re looking for an edible without extra gimmicks or ingredients, Dixie’s Dew Drops are the answer. These versatile little tinctures come in a variety of flavors and are made with a mix of THC and CBD. The company even offers a variety of recipes for the adventurous chef. Even though Dixie’s concoctions are available to the recreational buyer, they’re marketed to those looking for alternative solutions to stress or pain. The idea is that the CBD cuts the pain with anti-inflammatory benefits, while the THC takes away the stress. The best thing is that it really works; the Dixie website is full of positive reviews by users seeking the medicinal effects of these stylish drops. The award winning Sweet Grass Kitchen has perfected the classic pot brownie and taken the confectionary arts into the clouds with their line of cookies, brownies, pies and more. In many Colorado dispensaries you’ll find Sweet Grass’ take on grandma’s cookie jar, with individually wrapped and ready to eat snicker doodles and chocolate chip cookies. These baked beauties are available in doses mostly between 10mg and 60mg. So basically, they have your back, whether you want to get your buzz on or have a 24-hour Game of Thrones. While seemingly sweet and innocent, baked edibles have the power to render you useless, so be careful when first experimenting. Our advice? Mind you, we’re no experts, but start with 10mg or less, wait two hours and then see how you feel. Luckily the legal pot industry is strictly regulated, so you usually know exactly how much THC you’re eating, but all the ingredients are variable and these exotic edibles affect different people differently. Devon Van Houten Maldonado is a writer, painter and runner from Boulder, Colorado, currently living and working in Mexico City.